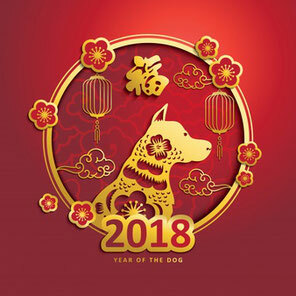 2018 is the year of the dog -in fact the earth dog- in China. We at Expandeers wish you a prosperous year ahead. The dog is generally considered to be loyal, reliable and hardworking - these qualities will be supported by the element of Earth in 2018. In the year of the dog, loyalty, discipline and reliability are the main focus. Both privately and professionally, stable partnerships can now be established and networks can be further expanded. And now the time has come to pay off all the effort and effort of the last few years and reap the rewards of your hard work. So the year of the dog obviously is the year companies around the world should tie up with EXPANDEERS to experience what loyalty, discipline and reliability is all about in expanding globally.